I’m thinking about dengue fever today. I thought about it last week, and the week before that, but I’m more focused today. Let me explain. 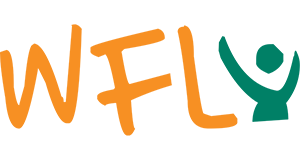 For almost three years, we’ve been working on a project whose funding protocols required submission of an extensive risk assessment and mitigation matrix. These can be a pain to formalize but, in my experience, are usually worth the effort. Ours covered space, equipment manufacturing and malfunction, time-to-delivery of a zillion things, staff, faculty, administrative and local government issues, community engagement snafus, protests, rabies, habits of language, availability of potable water and, finally, civil strife because we are proximate to the geographical and psychological aftermaths of a brutal 25-year civil war. We thought we had accounted for all exigencies, but we didn’t think about weather or disease. It’s true that flooding and mudslides have disrupted our schedule from the beginning, but with minor adjustments, we’ve managed. Some people haven’t managed. On April 17th, 2017, New Years Day in Sri Lanka, portions of the Meethotamulla dump in Colombo collapsed after heavy rainstorms and a probable methane explosion. It’s estimated that 100 people died. Who knows if all the bodies will ever be recovered? I visited a family that lives on the putrid edge of that mosquito-infested dump. Our team has protested and supported protesters of the dump, but these protests have gone unheeded since 2011. Three weeks ago, floods submerged two of our team’s family homes. Snakes in the bedrooms, crocodiles out front, all furniture – everything – washed away. That sort of thing. They made due and are just moving back in. The floods have subsided, but the disease is crescendoing. 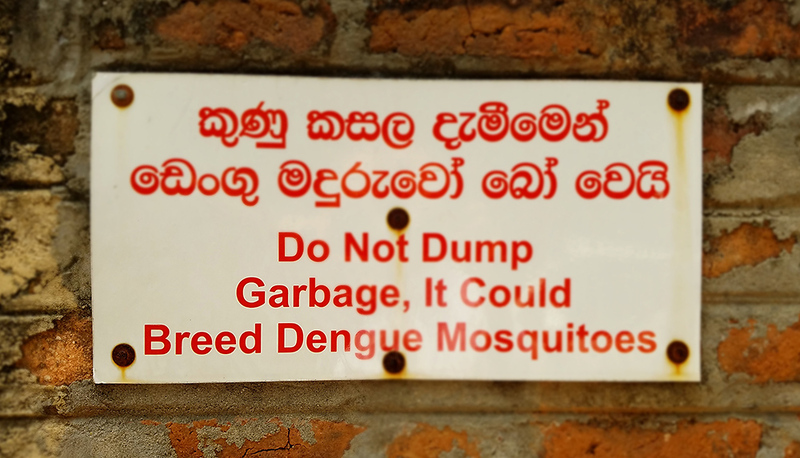 Dengue is a vector born disease, which means it’s transmitted by the bite of an infected mosquito. Much of the world’s population live in dengue endemic countries, and it’s the most rapidly spreading mosquito-born viral disease on earth. It’s also one of the best-studied diseases associated with climate change because mosquitoes are especially sensitive to weather and habitat pattern disruptions. They thrive in overcrowded urban environments, and a hostile climate shifts people into cities. You don’t worry much about dengue or malaria if you are living in Maine or France. But as the tropics creep northward and mosquitoes migrate with them, you will. You didn’t much worry about Zika a couple of years ago, either. WHOs latest update, April 2017, says that 3.9 million people or 52% of the world’s’s population live in dengue endemic countries. The disease has no cure or vaccination. 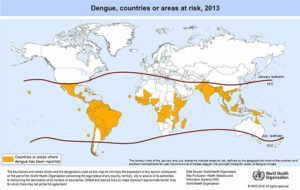 These maps show dengue prevalence contained between the Tropic of Cancer and the Tropic of Capricorn with instances leeching above the Tropic of Cancer. Climate projections suggest an immanent shift in latitudinal and altitudinal ranges as well as an extension of the length of the transmission season.